Election Date: Tuesday, May 14, 2013. NDP maintains significant lead over B.C. Liberals, says poll. 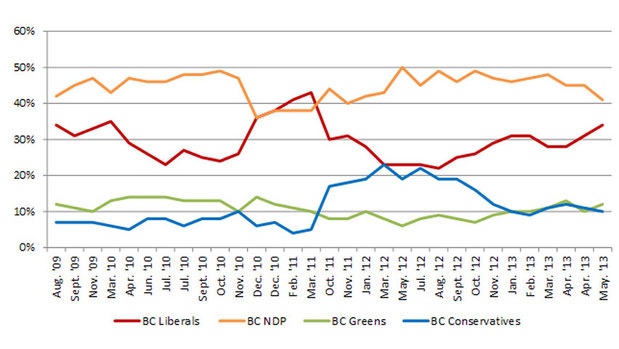 New Democrats Have 15-Point Lead Over BC Liberals in British Columbia, March 21, 2013.